I was looking forward to hearing the new show but I can't find a link that works. I keep getting a 429 error. Is there another place to get the show other than you site and the Throwback Network? Yay, I found a working copy on Youtube! Hey guys, your mp3 link isn't working again. Hi John, if you give it a day or so, it will magically work! I don't know why that is, but it has to do with the way that files are hosted on Google Drive, where we keep the podcast files. That's why I always upload the show to Youtube, as you've found 🙂 Thanks for listening! Sorry Dar! If you give it some time (usually under a day), it will start to work. Great show as always guys, thanks. There were quite a few things I wanted to reply to as I listened on my walk home tonight, and I seem to have remembered about a third of them now I'm back home. I'll have to listen again… not that this would be a first. I glossed over the significance of the omitted secret islands in my review, sorry, but you may be able to piece it together from the screenshots of the arcade's end sequence. To cut a long story short, your goal is to defeat the 'boss of shadow' and as he lives on the secret islands, you can't achieve this unless its possible to actually raise the submerged islands and purge them of gremlins. 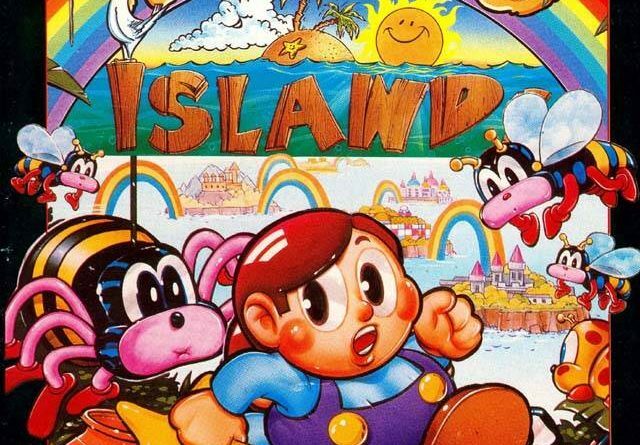 The full story can be found here: http://bubblebobble.wikia.com/wiki/Rainbow_Islands – the Jenglish will make your head spin! …and I didn't even mention the mirrors. 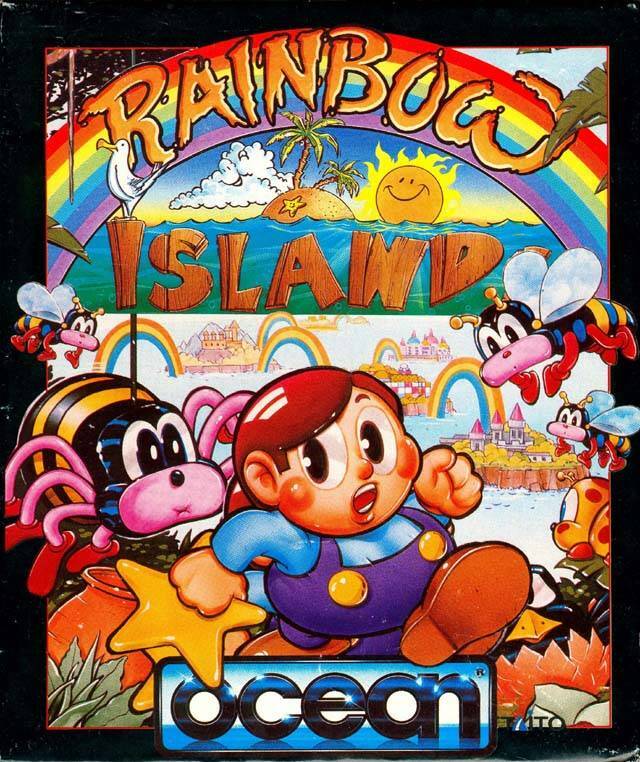 You were also wondering about the Bubble Bobble music used in the GBC version of Rainbow Islands. To me it's *much* more irritating than the 'over the rainbow' tune because it's hyper-zany and as it's faster, less time passes before it loops, and loops and loops again. It will drive you insane. I think Parasol Stars is the jewel in the crown of the BB games personally. It's far more fun than Rainbow Islands, in large part due to the simultaneous two player mode. It takes the best elements from each game and combines them with better graphics and a more varied soundtrack (as though that would have been difficult!). Interestingly, this one wasn't by Fukio. Wish there was a bit more talk on "Deluxe Paint". On Youtube there are a couple of video tutorials for versions 3 and 4 that were released on VHS back in the day. One featured Dan Silva, who created "Deluxe Paint". Silva did the first three, but was not involved in the subsequent 2 versions. Since you have discussed 3d softwware, he worked wit Autodesk later on. Also, back in teh day there was a rumor (completely unconfirmed) that Deluxe paint (or atleast the Amiga) was used to make some of the graphics on "Sonic the Hedgehog"
Thanks for the info, Dar! We'll bring this up on the next episode. Great show and love hearing about Dpaint. That was most Amiga users go to art program, including my own. Amusingly it seems it might have even been destined for the Commodore 65, successor to the 128 in the 8-bit computer line and brought to the point of near release before it was cancelled. There are screenshots of Deluxe Paint in the available demos for the 65. It is, though, hard to tell if they were just a mock up of what was possible, or if EA was actually working on the port since I have never found the actual program in any form for the 65. Wow, that's really neat! I'd never even heard of the Commodore 65 before. Thanks Anthony!